Does this chart show that print is over? 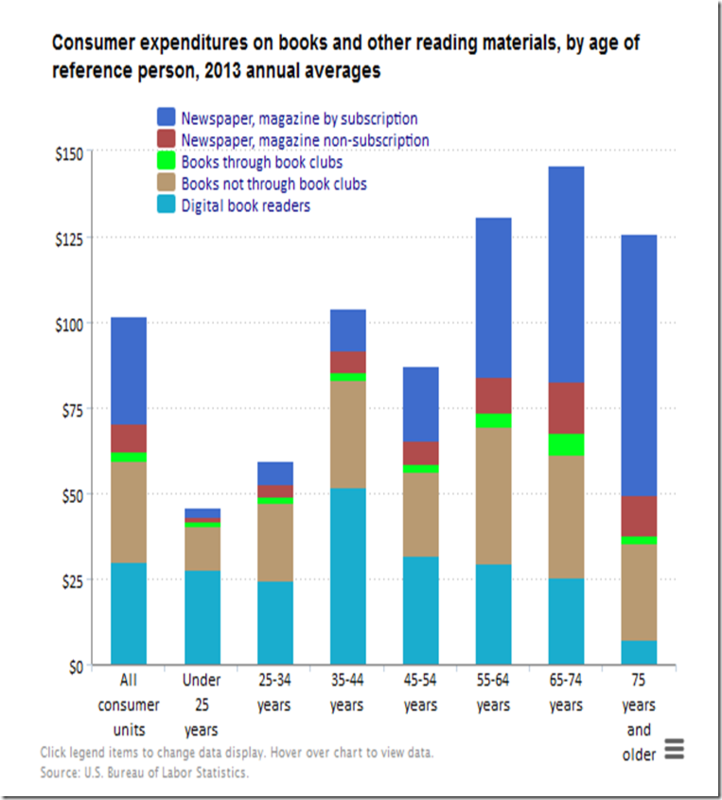 The US Bureau of Labor Statistics has put together a chart showing how expenditure on the written word varies by demographic. It focuses on newspapers, magazines, books and ebooks. That’s a bit odd because it includes the digital versions of books (ebooks) but not the digital versions of magazines and newspapers (websites).